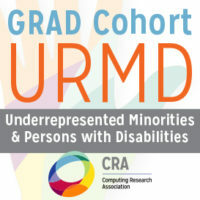 At the CRA URMD Grad Cohort Workshop, participants will spend two days interacting with senior computing researchers and professionals, who will share pertinent information on graduate school survival skills, as well as more personal information and insights about their experiences. The workshop includes a mix of formal presentations and informal discussions and social events. By attending URMD Grad Cohort, participants will build mentoring relationships and develop peer networks that will form the basis for ongoing activities during their graduate career and beyond. Computer Science departments have experienced significant course enrollment increases and many Ph.D. granting departments have introduced or increased the number of academic teaching faculty positions that have academic rank. The one-day workshop held in association with SIGCSE will focus on the professional development of teaching track faculty (professor of practice, instructor, clinical faculty, lecturer, etc.) in Ph.D. granting departments. The biennial Career Mentoring Workshop was offered by the Computing Research Association on February 26-27, 2018, at the Westin Arlington Gateway Hotel in Arlington, V.A. At the CRA URMD Grad Cohort Workshop, participants spent two days interacting with senior computing researchers and professionals, who shared pertinent information on graduate school survival skills, as well as more personal information and insights about their experiences. The workshop included a mix of formal presentations and informal discussions and social events. By attending URMD Grad Cohort participants were able to build mentoring relationships and develop peer networks that will form the basis for ongoing activities during their graduate career and beyond. 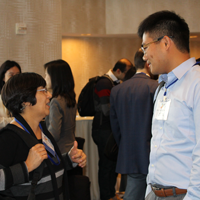 The biennial Career Mentoring Workshop was offered by the Computing Research Association February 22-23, 2016, at the Westin Arlington Gateway Hotel in Arlington, V.A. Speaker presentations are available by clicking on the links below. The biennial Career Mentoring Workshop was offered by the Computing Research Association on February 24 and 25, 2014, at the Westin Georgetown Hotel in Washington, DC. 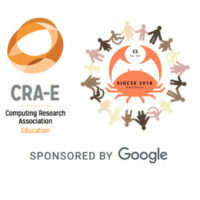 Workshop with a focus on case studies of big data usage in education, building on insights from the first. Chris Dede from Harvard University is the intellectual lead for this effort.